We feature A LOT of astrophotos here on Universe Today, and we get many comments about them, too — with some people saying they could NEVER take photos of the night sky because they live in cities, or are too close to street or yard lights or other causes of light pollution. Now, award-winning astrophotographer Justin Ng from Singapore has created a tutorial for how to photograph the night sky, even in light-polluted area. 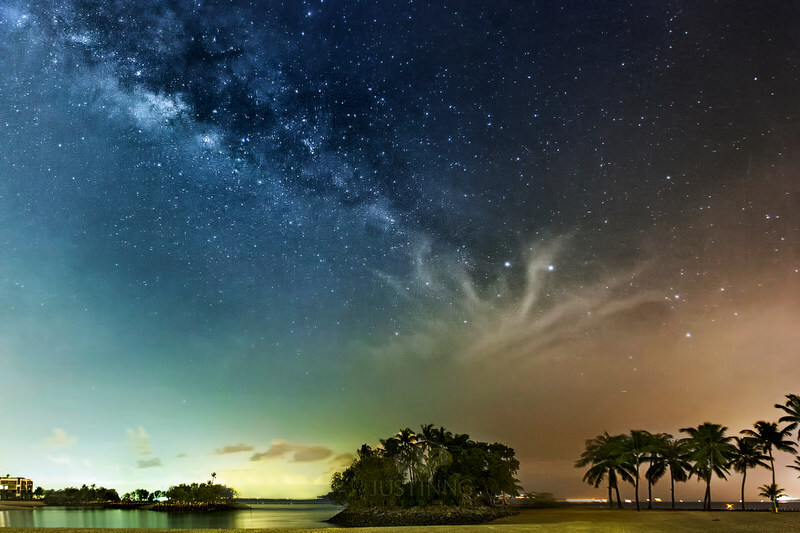 “This tutorial shows you how I photograph the Milky Way that’s obscured by the extreme light pollution in Singapore, using photography equipments that you may already have and a workflow that probably works on most versions of Photoshop,” Justin writes, adding that the type of photo processing he uses in Photoshop can be achieved without purchasing additional plugins. For this tutorial, you will need some previous knowledge about basic photography and post-processing. You can access the full tutorial here on Justin’s website. Check out more of his work at his website, on Facebook or G+.